The perfect happiness is listening to the laughter of a child, a walk along the beach to watching the sun set, sharing a moment underneath the stars. It's the little things that make happy moments. 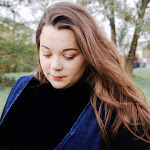 I have been inspired by other bloggers to take part in a new linky It's The Little Things with the lovely Jodie over at Dear Little Daisy and Lauren at Dilan and Me. It’s so easy to forget and look past the tiny moments that bring us joy, so they wanted to create this linky so we can all fully appreciate and remember those moments that make it all worth while. Puddle Jumping - I normally hate when my daughter gets dirty. I'm one of those mums who follow their child around tidying and with a pack of wet wipes ready for any dribbles. But as a part of some goals I made to myself this year, I wanted to take more of a relaxed approach to parenting and so we decided to go puddle jumping. It was freezing, we were filthy but we had the best time. I highly recommend puddle jumping if you need a giggle. Being kind - As you may know, my daughter and I have been going to baby classes regularly and already I can see a big difference in her behaviour. My daughter is an absolute gem most of the time, but recently we have seen her not want to share her toys. My sister has two little girls and whenever we have a playdate with them my daughter is more than happy to share their toys, however when we host the playdate at our house, she doesn't want to share as much. So this week in baby class watching her share with all the other children made me burst with pride and grin from ear to ear. When the class ended she even helped the class leaders clear up all the toys while all the other children and their parents got their coats on, it was such a delight to watch my daughter be so kind and helpful to others. Potty about the potty - This week I could have cried. Yes, my lovelies I was so happy and clapped like a seal because my daughter did a poop on the potty. Is that normal? If it isn't heck I am far from normal but I was so proud of her and she did it all on her own. I am one proud mama! Holidays - Last year, unfortunately we didn't get to have a family holiday. Bu we did manage to get away for a mini break with my mum and quality time with my mum is something to always appreciate. For this year my husband and I have been talking about going away for a mini break with my husband's brother, wife and little boy. Even though our destination is yet to be decided it's something that we all can look forward to. All that is blogging - After what seems like forever after so much time...I brought my own domain, finally. For a person who hates changes or anything technical I am super proud of myself. I don't know what I was worrying about to be honest, next step going self-hosted. Also this week I have been building up some great friendships with other inspiring bloggers who are only too happy to help me whenever I need it. 9 comments on "It's The Little Things"
Thank you very much for hosting. It's a very unique linky and one that will sure become popular in no time! Do You Believe In The Dummy Fairy?